Motorola’s upcoming smartwatch keeps things simple with a traditional design and no camera. Since last year, more and more manufacturers have decided that the smartwatch market is worth exploring. As such, numerous companies have either announced that they’re working on their own wearable devices, or they’ve already launched their products on the market. With all the commotion, it was only a matter of time before Google would expand its ecosystem to wearable gadgets as well. Earlier this week, the search engine giant made it official by announcing “Android Wear,” an extension to the Android OS which targets the smartwatch market. While Google itself hasn’t announced any devices of its own, it appears that the company has already partnered up with multiple smartphone manufacturers, including Samsung, LG and Motorola. All of these tech giants will take advantage of Android Wear in order to create future wrist devices, and thus, a brand new segment will be born. It appears that LG will be the first to launch an Android Wear device, dubbed (unsurprisingly) the LG G Watch. But, while the Korean company might be the first to release such a device on the market, Motorola appears to be working on the most attractive smartwatch of the bunch. Dubbed the Moto 360, the company’s Android Wear gadget takes a different approach on the smartwatch concept. Interested in learning more? Find out all the details below. Without a doubt, the biggest selling point of the Moto 360 is its design language. According to the lead designer, Jim Wicks, the Moto 360 was created with one main idea in mind: to deliver a smartwatch that looks familiar to watch wearers. In other words, the 360 can be easily mistaken with a regular watch that just happens to feature a touchscreen. This idea reflects heavily from the form factor, as the 360 adopts a circular design, rather than the usual rectangular approach borrowed by the majority of smartwatches. A watch is more than a device that tells the time. It’s also a fashion item, and Motorola strived to keep the Moto 360 within those guidelines. In our eyes, the company succeeded, as the Moto 360 looks quite astonishing. During a Hangouts session, Jim Wicks revealed that the diameter of the display measures 46 mm, or roughly 1.8 inches. It also appears that the smartwatch will be “orientation-free,” meaning that, because the touch screen will automatically orient itself, the Moto 360 can be easily worn on either wrist, despite having a plunger on one side only. During his Hangouts session, Jim Wicks didn’t reveal much about the 360′s CPU and battery. Nevertheless, certain details have been disclosed, including the fact that the gadget is water resistant. When asked, Wicks also confirmed that the Moto 360 lacks a camera, simply because the team of designers hasn’t found a real purpose in fitting a sensor on a smartwatch. As far as functionality goes, the gadget boasts voice recognition capabilities and touchless controls. Wicks also shared that, in his point of view, a watch is not always telling the time. A watch is also a reference for whatever needs to be done in the near future, and how much time is left before a certain event takes place. With Android Wear, this type of basic function provided by a regular watch becomes tremendously richer, as the 360 is capable of displaying important info such as notifications, weather, details about upcoming events, and even directions. Since Android Wear relies heavily on Google Now, the smartwatch will respond to the popular “OK Google” voice command. It will also give the possibility to make appointments, setting alarms, taking notes and sending texts. It all sounds very intriguing, and what makes the Moto 360 even better (or other Android Wear devices for that matter), is that the gadget will be compatible with a very wide range of devices. In fact, the 360 will be compatible with all Android gadgets that run Android 4.3 or higher. Up until now we’ve detailed out official bits of information that have hit the blogosphere during these past several days. However, there are some rumors surrounding the Moto 360 as well, and sadly, these rumors are not too positive. 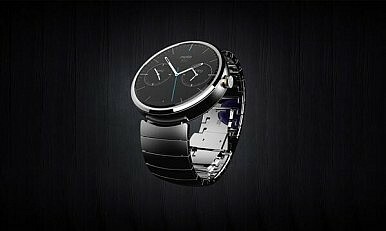 According to sources, due to the fact that the Moto 360 is a landmark smartwatch that adopts a unique design, boasting premium materials and a round dial, Motorola will face certain production issues. Manufacturing round displays is a very wasteful process, and due to the gadget’s shape, fitting the internal hardware might prove to be a challenge as well. With that in mind, these rumors suggest that Motorola could be forced to produce the Moto 360 in lower quantities, and / or that availability will be limited to select regions. More so, since the production costs will rise, the gadget might come at a pretty high price tag. Nevertheless, keep in mind that these details are not official, and that we’re dealing with rumors. Whether or not that will be the case remains to be seen. Are there any smartwatch enthusiasts among The Diplomat’s readers? What’s your opinion regarding the Moto 360? Do you think Motorola’s approach to this particular market segment is the right one? As usual, we invite you to join us in the comments section and share your thoughts. Samsung and LG both have smartwatch entries. How do they compare?